If you're a theater nerd, there are two shows you can't stand to miss this year, but, once finances are taken into consideration, you might be lucky to catch one. And so, the question weighing on your mind is: Are Cursed Child tickets more expensive than Hamilton tickets? The answer might surprise you. Since its rise to prominence, Hamilton has made headlines for the inflated cost of its seats. Most Hamilton tickets are bought by brokers early in the season, then re-sold through third-party platforms. With prices on the secondary market hovering around $1,000 — more than 700 percent of the original $139 cost — Hamilton producers raised prices on most seats to deter brokers. In July 2016, tickets to writer and star Lin-Manual Miranda's final performance sold for $20,000 each. Harry Potter and the Cursed Child opened with a limited show schedule at the Palace Theatre London, but has since expanded to give performances on five nights each week. At the time of this writing, Cursed Child is sold out through the end of 2017. So which show is more expensive to see? On the secondary market, tickets to see Hamilton are currently going for around $2,000, while admission to the Harry Potter play re-sells for $6,400. 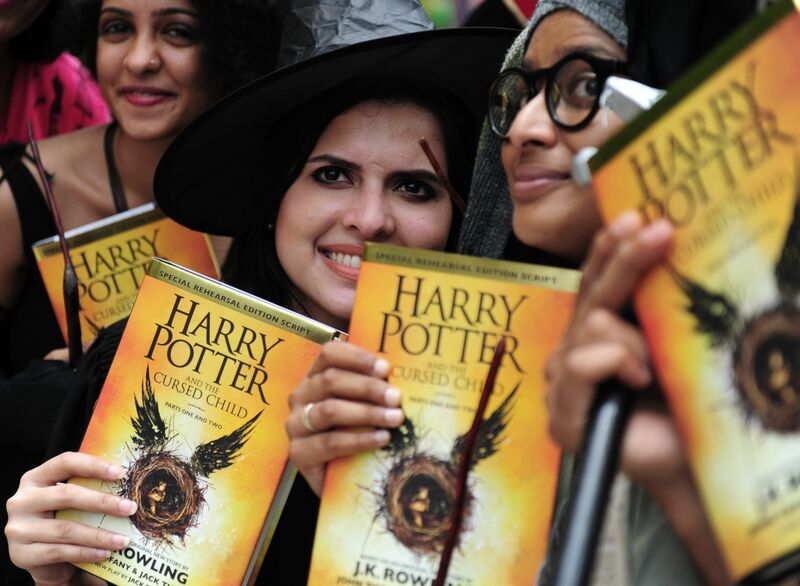 Before you decide that several thousand dollars is a small price to pay to see the Golden Trio onstage, beware: Potterheads who purchase their stubs from brokers may be disappointed — and broke — when they reach the theater's doors. Although the Hamilton website links ticket shoppers to secondary marketplaces, Harry Potter and the Cursed Child's producers are so opposed to the re-sale business that they are turning away fans who purchase their seats from brokers. You read that right. Potterheads who spend more than $6,000 to see Cursed Child might find themselves shorted both the money and experience. Even though their tickets might be three times as valuable, Cursed Child hasn't outsold Hamilton yet. Miranda's Tony Award-winning musical has been wildly successful, spawning a new edition of its source biography, a companion guide, and a series of tours. The Harry Potter franchise might be worth more overall, but Hamilton isn't throwing away its shot any time soon.